Pioneers in the industry, we offer cpvc plumbing pipes, cpvc pipe fittings, cpvc plumbing fittings and cpvc pipe from India. CAPTAIN CPVC Plumbing Pipes are not only light weight and convenient-to-use but also help reduce any added expenses during installation. Our CPVC Pipes & Fittings can sustain for many years. We are dealers, manufacturer & Exporter of CPVC Pipe Fittings & CPVC Pipe Clip. 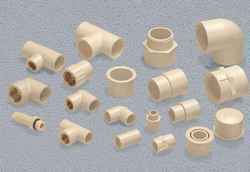 Our product range also comprises of UPVC Pipe and Fittings. Used for hot water and chemical carrying. 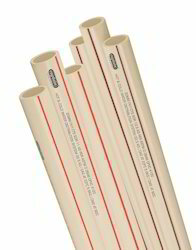 Plumbing Fittings CPVC pipes are manufactured to carry hot water and chemicals. Widely used in building construction as plumbing pipe as well as in the industries. CPVC Plumbing Fittings is used as accessories for the CPVC pipes for hot water as well as chemicals. 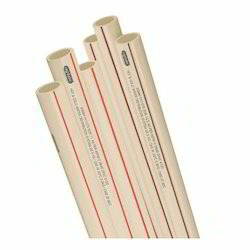 CPVC Pipe is widely used for carrying Chemicals and Hot Water.